Credit where it is due, in spite of what probably felt like 12 games in 7 games, Brimscombe & Thrupp took Ascot United to extra time in tonight Perpetua Press Floodlit Cup Final. Ascot, fresher having had a good 10 days off had a couple of chances in the first half but Brimscombe – who had a game last night – managed to go the full 90 without conceding. The deadlock was broken in the 97th minute by Dave Pitt and Joe Grant made the game safe five minutes after the restart in extra time. 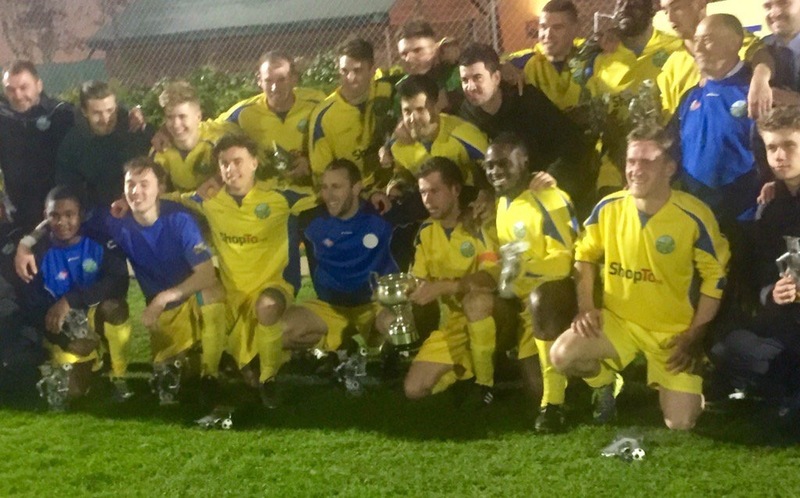 The win for Ascot means manager Jeff Lamb can add the Floodlit Cup to his CV alongside the league cup. Photos: Ascots full time celebrations. By @postsdavewright on Twitter. Nominations are now open for our 2016 Football in Bracknell Awards. Why don’t you put someone deserving forward?